In light of the many questions about my lovely shiny new machine, I thought I'd ask one of my friends, Judy, from Hobo Bunny to share with us a review of her sewing machine, the Janome 1600p QC. When I got back into sewing a few years ago I found a Janome 423s on eBay and went for it. It served me well, even if it did like making the odd birds nest. (Entirely my fault!) Then my mums old Jones machine got condemned, so I took her into a sewing machine shop for her to try some out and see what she might want to upgrade to. 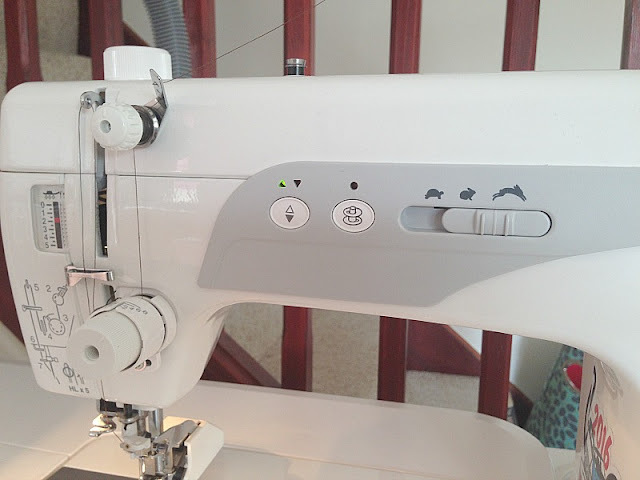 We ended up settling for a Janome dks30 for her, which is a fab little machine, so much so that I adopted it for a while and mostly sewed on it due to the birds nest fetish of my 423s - which, in all fairness was usually my fault for forgetting to put the presser foot down. A machine that refused to sew with the presser foot up. Funny thing is, when you're looking at a machine, there is no mention of the power unit... Nothing tells you how much torque there is to push that needle through umpteen layers of bag... It's like the manufacturers don't think that's important information?!?! Frustrating! A lot of people in groups online had been going industrial, I did look at that, but decided against for a few reasons - I sew in my living room, which is teeny, and there is very little room for a table, it's also exceptionally difficult to find out how big those tables are online. I also wanted something portable, for those classes and retreats that crop up. One of the main deciding factors was also the proximity of a dealer. The closest was a couple hours away, so servicing and such would be a pricey affair. So, domestic machine it was... But I needed power! I heard about domestic Jukis' so started looking at them, but had the same issue with the dealer being so far away. Then I came across a Janome 1600pqc.... I instantly had a squizz, having been happy with the other machines I'd used, I figured it was worth a look. I went back to the sewing machine centre, and thought I'd see what they suggested. So, announcing I wanted a machine with power, I was directed to a machine that would happily sew through 4 layers of denim..... I smiled, said I needed it to go through at least twice that and more, and was instantly shown the Janome I'd been looking at! I played about with it in the shop and thought it was great, the stitching was great, and the crispness of the corners when you pivot the fabric was so much better. The speed was a bit intimidating in the shop, but it has speed control, which was a blessing when I first got it, but you quickly get used to it. So, I figured it was the one for me. 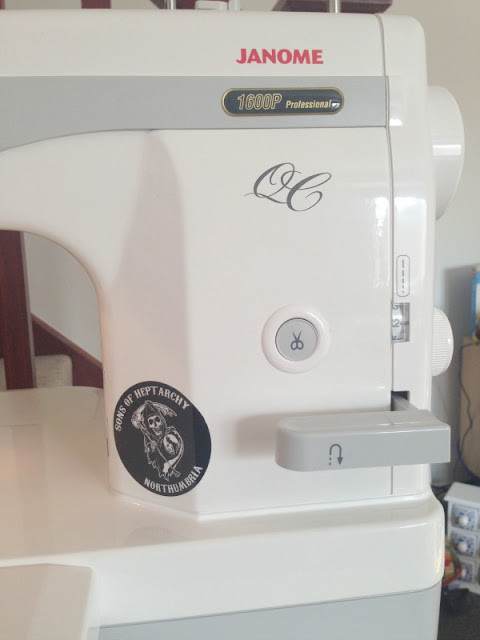 Now I've had the machine for a few months, I can say it's my first choice for sewing, the fact that it's a straight stitch machine hasn't been an issue at all. 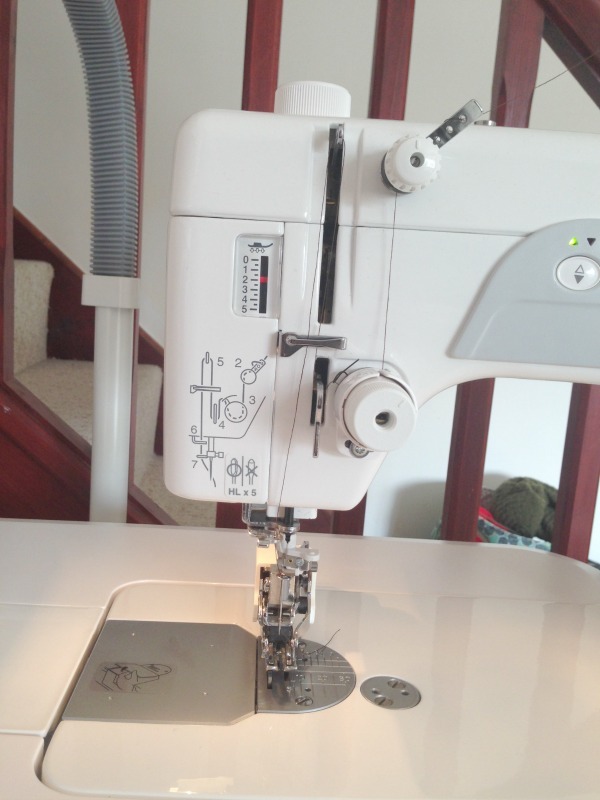 The only time I've pulled out the old machine was for making a dress in knit fabric. The 1600 has been just the ticket for everything else I've made, bags, dresses, quilting, Roman blinds... It's just been great. One thing it does have that most domestics don't, is a separate motor for bobbin winding. 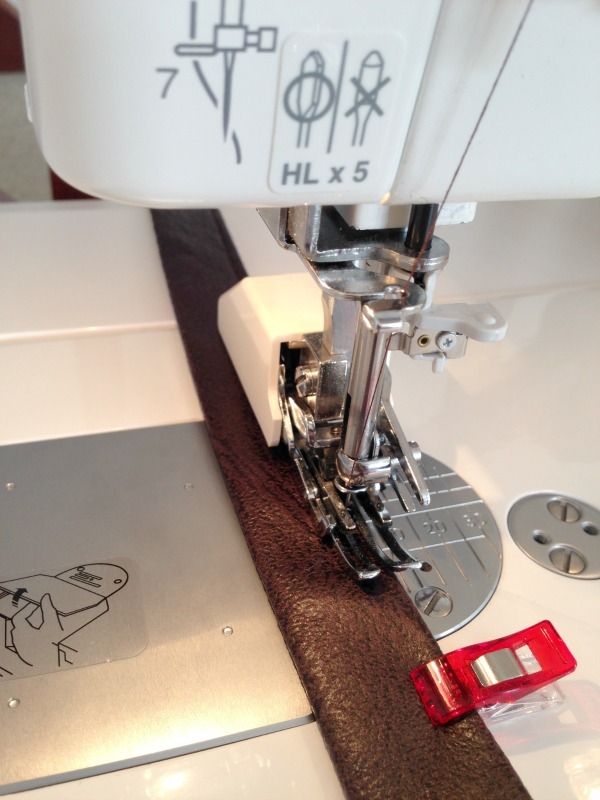 You can wind the bobbin at the same time as sewing - taking multi tasking to the extreme! It's also controlled with a button, rather than the foot pedal, so you can walk away and pop the kettle on while it's doing its business. One other stand out feature is the massive reverse lever - you don't have to look for it, just move your hand in that general direction and you find it. I keep my eye on what I'm doing now. It does come with a knee lift too, but I've yet to try that out - I need a bigger table! There are some things that you do need to be aware of when taking on one of these beauts. It's heavy, if you need to take it around to classes, be prepared for the weight, there's a lot of metal making it as solid and sturdy as it is. There is no free arm, get used to sewing round things flatbed stylee. Don't be scared to fiddle with the tension, it's manual. There are three main knobs to play with to get the tension right; presser foot pressure, and two top thread tension knobs. It's what scrap fabric was invented for! The needles. They are a longer needle than your standard domestic machine, but I have found that since the machine has the power to do the job, it doesn't blunt the needles anywhere near as quickly as I was going through them with the other machines. I still haven't found anywhere to buy in bulk though... Yet. I definitely think my bag making has improved having a tool that is fit for the job, and what I produce has a much more professional finish to it. 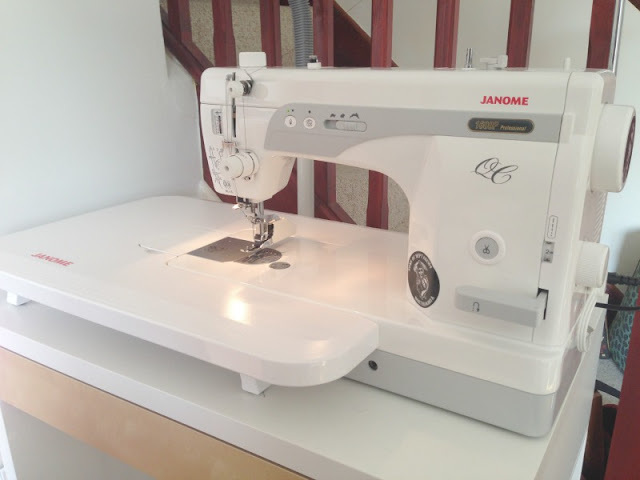 Thanks Judy, it's so helpful to be able to have a good look at a machine, and hear what a truly talented bag maker thinks of the Janome 1600p QC! If you want to find out more about the Janome machines I've featured on the blog, please see Janome's website directly, or contact your local Janome dealer. 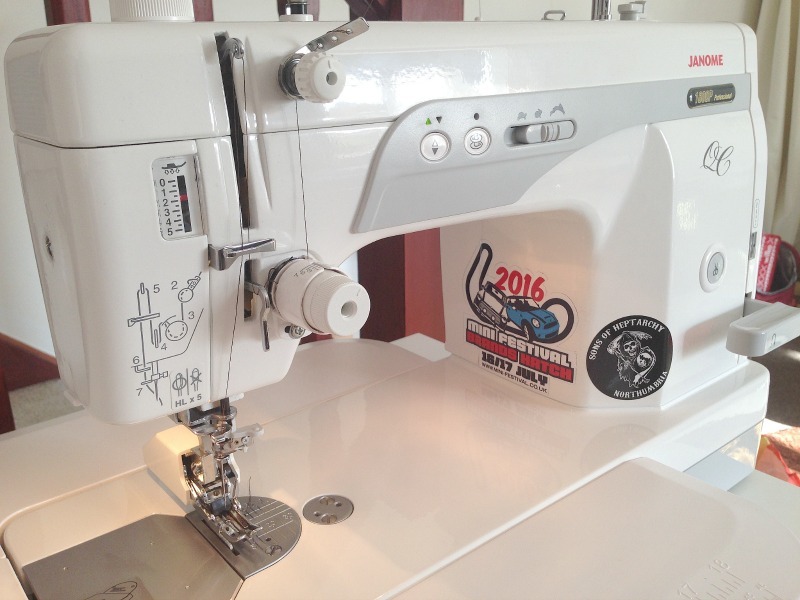 Judy found great service at her local dealer, the Exeter Sewing Machine Company.